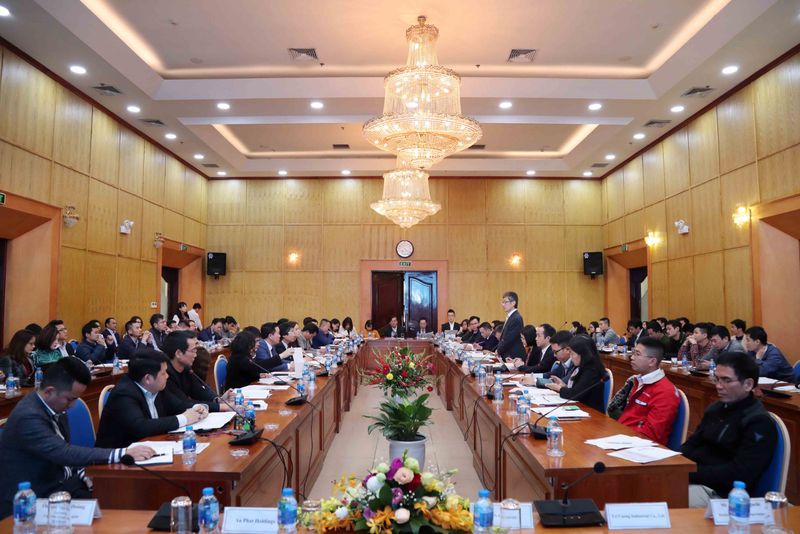 (MPI) - On January 23rd, 2019, at the headquarters of the Ministry of Planning and Investment, the Vietnam-Japan Business Matching Symposium 2019 was held by the Organization for Small & Medium Enterprises and Regional Innovation (SMRJ) and the Foreign Investment Agency, Ministry of Planning and Investment. Speaking at the Symposium, Director General of the Foreign Investment Agency Do Nhat Hoang said that 2018 marked a tremendously significant milestone - 30 years of attracting foreign direct investment (FDI) in Vietnam and 45 years of establishing Vietnam-Japan friendship. The relationship between the two countries has been constantly developing, becoming strategic partners in all fields, especially in economy, trade and investment. Japan is the country with the largest official development assistance (ODA) for Vietnam, the second largest foreign investor, the third largest partner in tourism and the fourth largest trading partner of Vietnam. Director General Do Nhat Hoang said that, for three consecutive years (2016-2018), SMRJ has collaborated with the Ministry of Planning and Investment to successfully organize business delegations to visit and attend exhibitions in fields of information technology, transportation, electronics, auxiliary industries which were held in Japan. According to the Foreign Investment Agency’s statistics, by the end of 2018, Japan is the second-largest investor over 130 countries and territories investing in Vietnam with 3,996 projects and a total investment of 57 billion USD that mainly concentrated in fields of manufacturing and processing industries, real estate and services, etc. 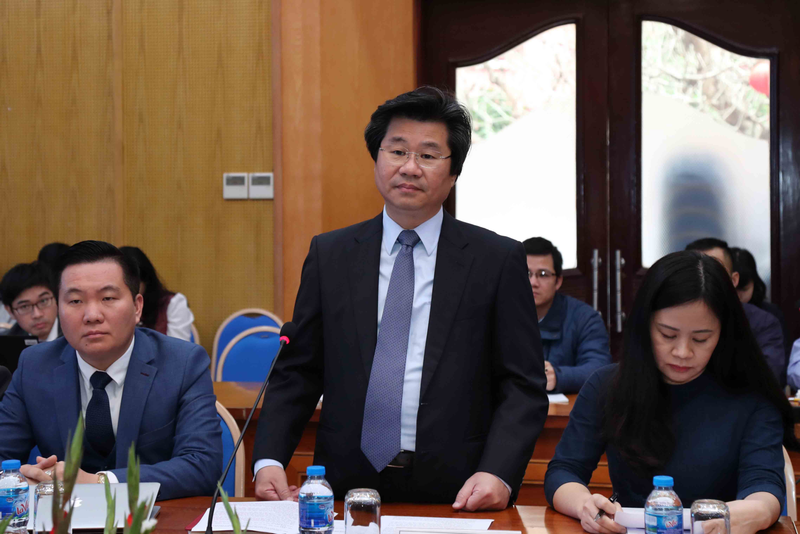 It can be said that the investment capital flow from Japan into Vietnam has contributed significantly to the socio-economic development of Vietnam in a sustainable way. Many Japanese corporations have been present in Vietnam with reputable products with high technology and skill, contributing to the replacement of imported goods, enhancing exports, boosting growth and Vietnam’s position in the world. Speaking at the Symposium, Head of SME Support Department, SMRJ, Mr. Higuchi, said that this is a meaningful event for sharing information about the need to find partners of some Japanese enterprises and introducing J-Goodtech - an online business matching platform. This is an effective connection channel, saving time, cost as well as human resources between the foreign small and medium enterprises in general and those of Vietnam in particular, from that, we will boost the connectivity between Japanese and Vietnamese enterprises, the two sides will become partners of each other. At the Symposium, a number of discussion sessions took place, such as: sharing some information, business sectors that are currently trading, operating, the targets when cooperating with Japanese enterprises, the achievements of successful connection and cooperation with Japanese enterprises through participating in connection activities, advantageous and disadvantageous points in the process of cooperation and connection, etc./.